The National Historical Museum, on September 27th, 17:00, restarts the activity "One afternoon in the museum!" 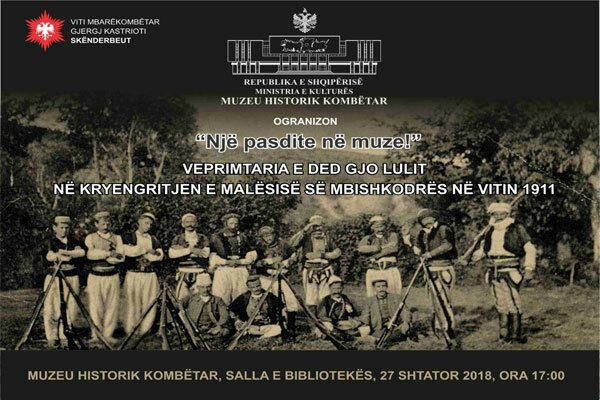 On the topic: "Ded Gjo Lul's activity in the insurrection of the "Malësisë së Mbishkodrës" in 1911". These periodic meetings are made with a view to sensitize the Albanian society on various issues of Albanian national history, culture and national heritage.